Are you missing the beach during this December-time holiday? 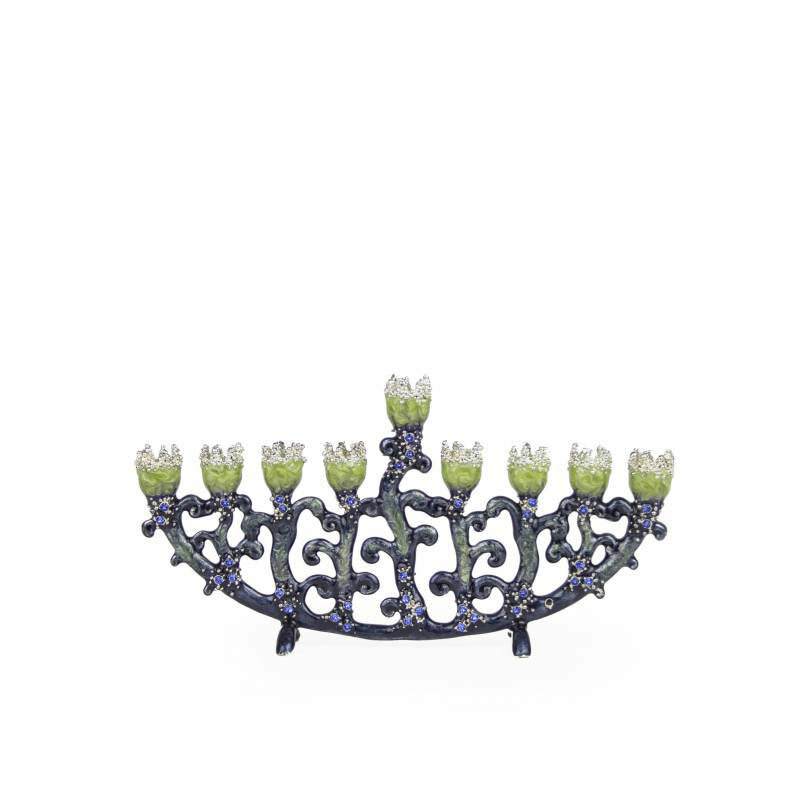 Well bring some of the coast into your home with this beautifully hand painted menorah. Made of pewter and enamel, the base is designed in sparkling blues and Swarovski crystals to mimic ocean waves. The candle holders are flower-like and have the color of sand, completing the ocean look. Designed in the Heart of New York City. Manufactured with only the highest quality material. Dimensions: H 3.50" W 1.25" L 6.75"